Daniel Schacter is William R. Kenan, Jr. Professor of Psychology at Harvard University. Dan received his B.A. degree from the University of North Carolina at Chapel Hill. He subsequently developed a keen interest in amnesic disorders associated with various kinds of brain damage. He continued his research and education at the University of Toronto, where he received his Ph.D. in 1981. He taught on the faculty at Toronto for the next six years before joining the psychology department at the University of Arizona in 1987. In 1991, he joined the faculty at Harvard University. His research explores the relation between conscious and unconscious forms of memory, the nature of distortions and errors in remembering, and how we use memory to imagine future events. Many of Schacter's studies are summarized in his 1996 book, Searching for Memory: The Brain, The Mind, and The Past, and his 2001 book, The Seven Sins of Memory: How the Mind Forgets and Remembers, both winners of the APA's William James Book Award. 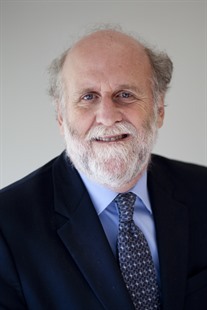 Schacter has also received a number of awards for teaching and research, including the Harvard-Radcliffe Phi Beta Kappa Teaching Prize, the Warren Medal from the Society of Experimental Psychologists, and the Award for Distinguished Scientific Contributions from the American Psychological Association. In 2013, he was elected to the National Academy of Sciences.